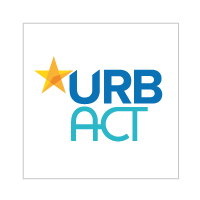 Home » URBACT News » URBACT III call for Transfer Networks now open! URBACT III call for Transfer Networks now open! Following the decision of the URBACT III Monitoring Committee, the call for proposals for up to 25 Transfer Networks for 2014 – 2020 is now open. Call for the creation of up to 25 Transfer Networks is open! To refine and improve their own methodology through peer reviews and with the support of URBACT experts. Proposals for the Transfer Network can be submitted only by 97 URBACT Good Practice Cities already selected in the Call for Good Practices (June 2017) as future Lead Partners of Transfer Networks. Cities interested in transferring the Good Practice to their local context as 'Transfer Cities' should first visit the website with all 97 awarded URBACT Good Practices and check if any of 97 Good Practices correspond to their needs. For more information, please consult the Guide to Transfer Networks that introduces potential partners to the URBACT Transfer Networks. It provides better understanding of what city can expect by joining an URBACT Transfer Network (either as 'Transfer City' or 'Good Practice City') and clarifies the expected commitments and contributions. Please read carefully the Terms of Reference for the call for Transfer Networks as well as the Guide to Transfer Networks which set out the main features and requirements of the call. If you are interested in transferring the Good Practice as a 'Transfer City', please contact the URBACT Good Practice City to express your interest in transferring the practice to your local context. All contacts are available on the URBACT Good Practices website. If you are a Good Practice City and ready to submit the proposal for Transfer Network please send the request via email: TN@urbact.eu. The URBACT Joint Secretariat will take care of opening the online application form in SYNERGIE-CTE for you. Previous experience shows that the creation of partnerships takes place in the very beginning of the calls therefore candidate cities should get in contact with Good Practice Cities as soon as possible. The deadline for the online submission of the Phase 1 Applications is 10 January 2018, 15.00 CET. All Transfer Network proposals will need to include and propose three experts from the online database of validated URBACT Experts for supporting Transfer Networks in Phase 1. The URBACT III Pool of validated experts is available HERE. If you are an expert interested in supporting the Transfer Network and not yet a validated URBACT expert, please check the Call for Applicants for the pool of URBACT Experts which is open on a permanent basis. If you want to find out more about the URBACT City Festival, please check: The 2017 URBACT City Festival... How was it? All upcoming events related to the call for Transfer Networks will be regularly updated. The URBACT City Festival of 3-5 October 2017 in Tallinn will be an important networking and match-making event for cities willing to get to know the URBACT Good Practices and find partners to apply to the Call for Transfer Networks. *20/09/2017, Łódź. Afternoon session on Good Practices & Transfer Networks during the conference "The role of the urban areas in the Cohesion Policy post 2020 - local event of the European Week of Regions and Cities"
*24/10/2017, Barcelona Provincial Council. More information to come soon. *Infoday for the Basque Country. More information to come soon. Transfer Networks are one of the three types of networks developed under URBACT III, along with Action Planning Networks and Implementation Networks. Transfer Networks focus on the adaptation and transfer of established Good Practices amongst EU cities. These networks will be led by cities that have been awarded the URBACT Good Practice label. You can discover all of the 97 URBACT Good Practices on a dedicated website. A call for URBACT experts to support the networks in designing and implementing transnational learning activities is equally open. All upcoming events related to the call for Transfer Networks will be regularly updated on the webpage – Open Call for Networks. The URBACT City Festival 3-5 October 2017 in Tallinn will be an important networking and match-making event for cities willing to get to know the URBACT Good Practices and find partners to apply to the Call for Transfer Networks.